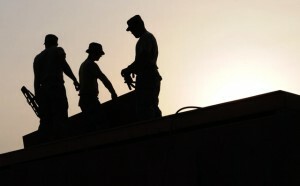 Since 2008, all Georgia contractors working on commercial construction projects exceeding $2,500 need to obtain a Georgia contractors license to comply with the law. 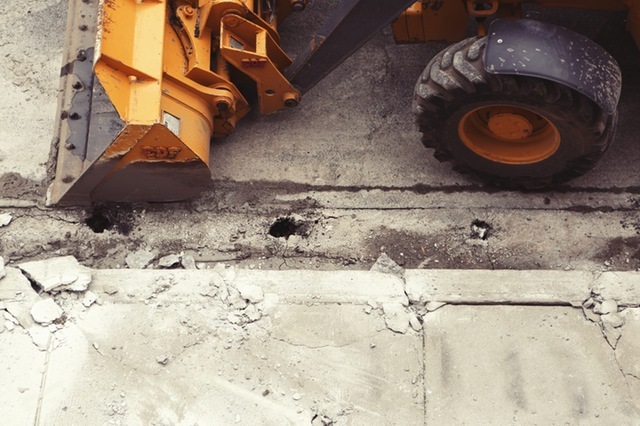 Even before that, a wide array of specialty contractors also had to get licensed. If you are planning to start your contracting business in the state, it’s a good idea to get acquainted with Georgia contractor license requirements. In this way, you’ll be well prepared to launch a successful business. 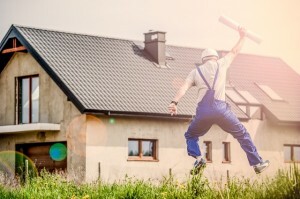 Besides meeting a set of predefined criteria and submitting a range of documents, contractors need to pass a Georgia contractor license exam and post a contractors license bond. Wondering how much the contractor license bond will cost you? Let’s go through the main steps of getting a Georgia contractors license. Residential and general contractors need to undergo the procedures set by the Professional Licensing Boards Division’s State Licensing Board for Residential and General Contractors. Most types of specialty contractors also get their licenses from the Professional Licensing Boards Division. Exceptions are asbestos abatement contractors, who need to get a license from the Environmental Protection Division. Depending on the type of license you would like to obtain, the licensing requirements will vary. For all of them, you need to submit a completed license application, together with all necessary paperwork. Besides submitting a Georgia general contractor license application – or a residential application – residential and general contractors also need to submit a set of documents to support their application. There are three types of Georgia contractors licenses to choose from: residential – basic contractor, residential – light commercial contractor, and general contractor. For each type, you need to meet the requirements for work experience, posting the appropriate amount of liability insurance, passing the obligatory exams, and paying the applicable license and application fees. In Georgia, there are three types of electrical contractor licenses. Electrical contractors with Class I license can work on single phase electrical systems that aren’t more than 200 amperes only. Electrical contractors Class II are not restricted on the types of systems they work on. Low-voltage contractors work on alarm systems, general systems, and telecommunication systems. The most important requirement for obtaining an electrical contractor license is passing the Georgia contractor license exam. A qualifying requirement is to have four years of approved electrical work experience. Filing your electrical contractor license application costs $30. The electrical contractor exam costs $133 while the low voltage one is $122. Initial licenses are free, and renewals cost $75. If you would like to be a Georgia conditioned air contractor, you can choose between two types of licenses – Class I, restricted to 175,000 Btu of heating and 5 tons of cooling, and Class II, that has no restrictions. As with other types of Georgia contractors licenses, you need to pass a licensure exam after having three years of conditioned air work approved by the Division. To file your conditioned air contractor application, you need to pay $30. The exam fee costs $133. Initial licensing is not paid, but renewals cost $75. Plumbers in Georgia can get three kinds of licenses: Journeyman Plumber, Master Plumber Class I and Master Plumber Class II. Class I is restricted to single-family or one-level dwellings while Class II does not entail any restrictions. To obtain your license, you need to pass a Georgia contractor license exam. For journeyman plumbers, the requirement is three years of work experience before sitting the exam, while for Class I and Class II you need five years of plumbing work experience. The exams cost $133 each while the application fee is $30. Initial licenses are free, but renewals are $75 for Master licenses and $35 for the Journeyman license. Utility contractors need to apply for a utility contractor license, plus obtain utility manager and utility foreman certificates as needed. The license requirements include submitting information on your company and personnel, having a safety program enacted and hiring a licensed utility manager. Both utility managers and foremen need to pass an exam. For managers, the requirement is to have two years of working experience, while foremen need to have completed a safety training course. Utility contract licenses are free, but renewals cost $35. There is a $50 fee for filing your application. For most types of Georgia contractors license types, you need to post a $25,000 contractor license bond. If this is the first time you have to obtain a bond, it’s worth looking into what a surety bond is. The purpose of the license bond is to guarantee that contractors will comply with state regulations when executing their work. In this sense, it is a form of protection for authorities and for your customers. If you fail to follow the rules, you can face a claim on the bond. The cost of your surety bond is not the full bond amount that you are required to post. Instead, you need to pay only a few percents of it, which is usually between 1%-3% for standard bonding market applicants. This means your bond price may be as low as $250-$750. Your surety will determine your exact bond cost once you complete a full application. With this short overview, you can get an idea what the types of Georgia contractors licenses are and which one is the right one for your case.